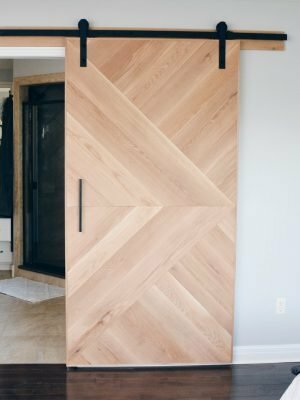 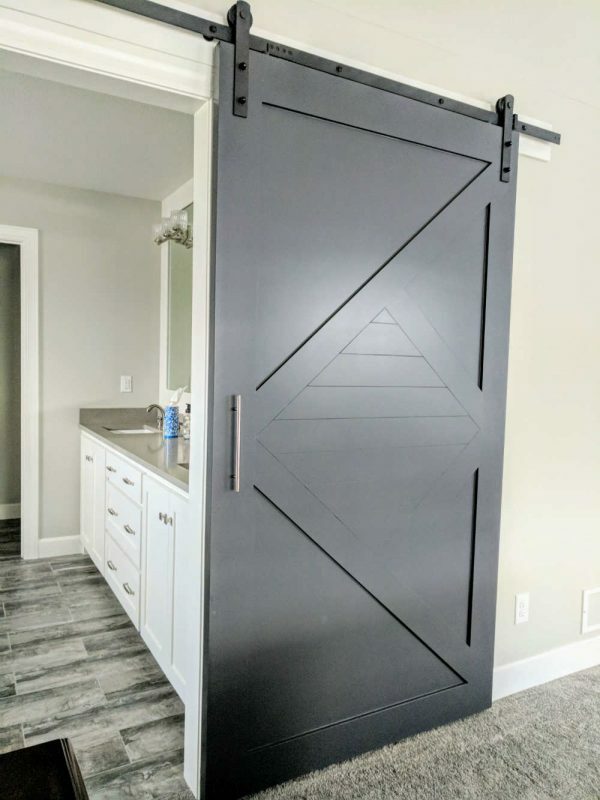 Beautiful interior painted modern arrow barn door – hand made and painted. Customers enjoy a simplified shopping experience due to all hardware included in price. 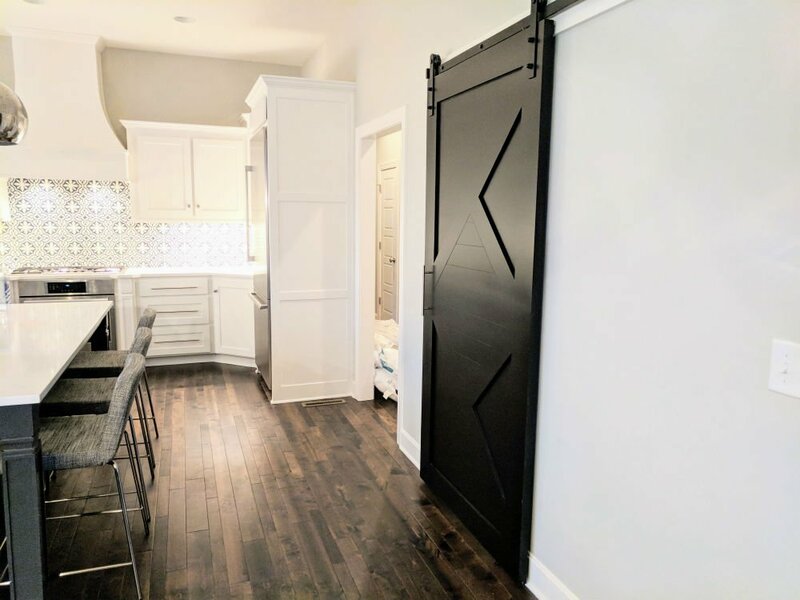 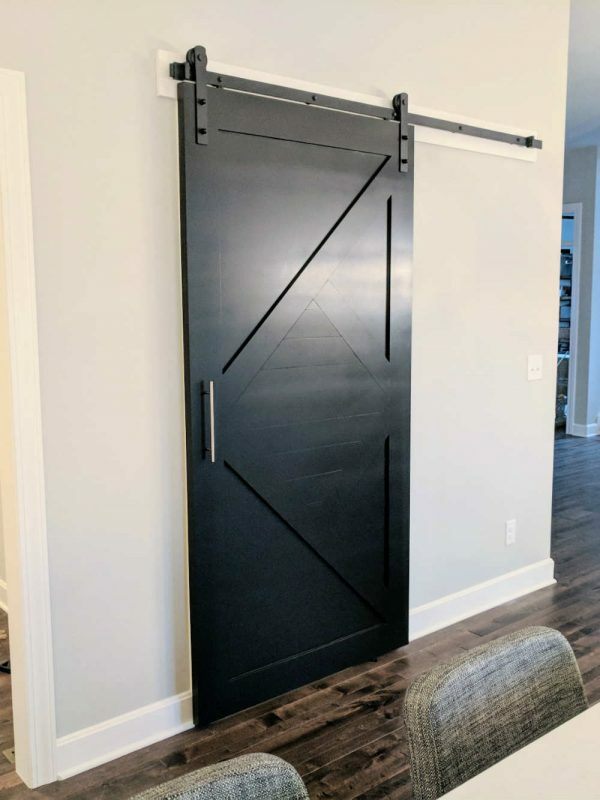 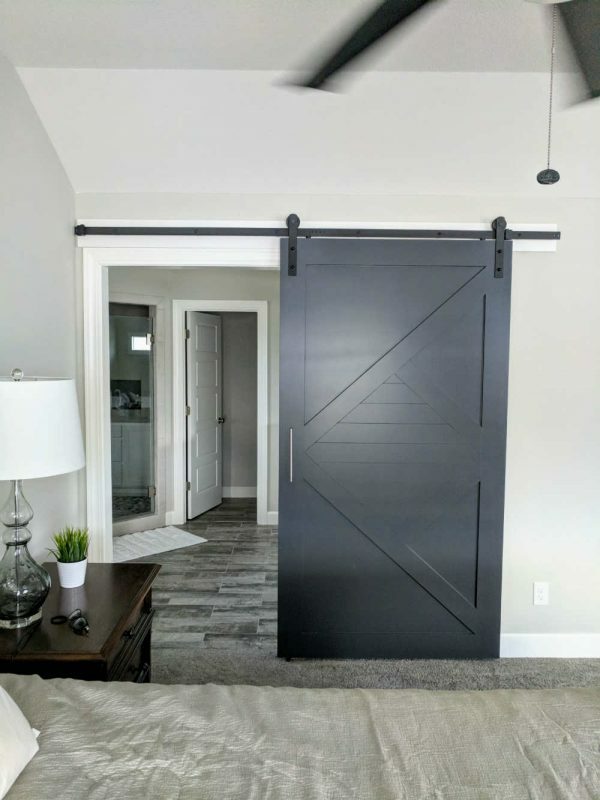 Gives all the benefits of a sliding barn door but with the contemporary/modern clean look you desire.